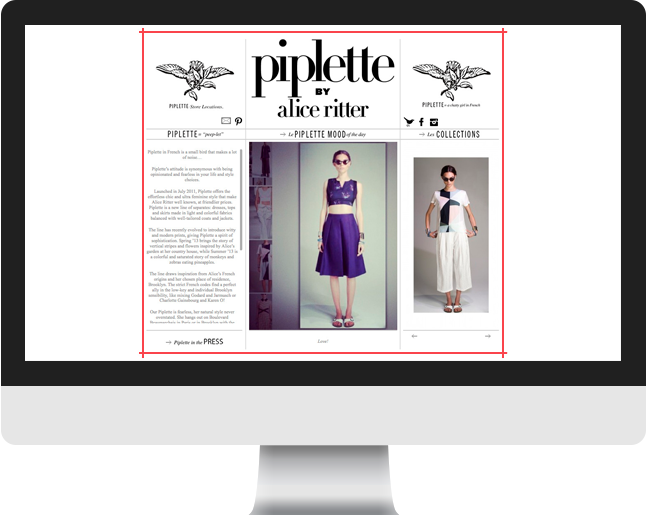 Launched in July 2011, Piplette offers the effortless chic and ultra feminine style that make Alice Ritter well known, at friendlier prices. 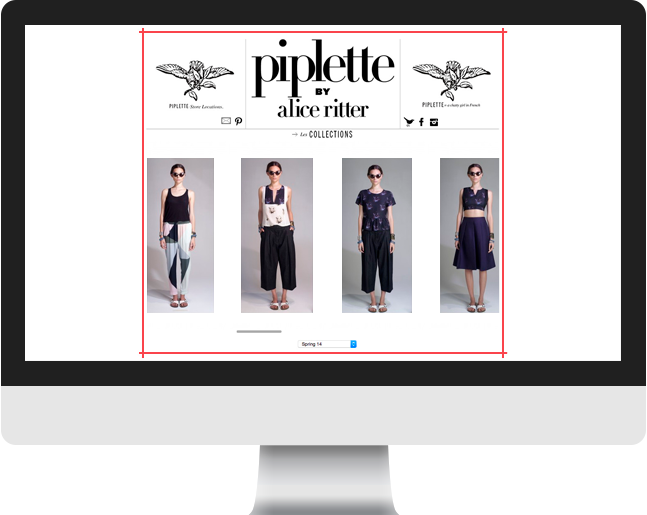 Alice Ritter, hired Cultura Interactive to be in charge of the development of her new website. 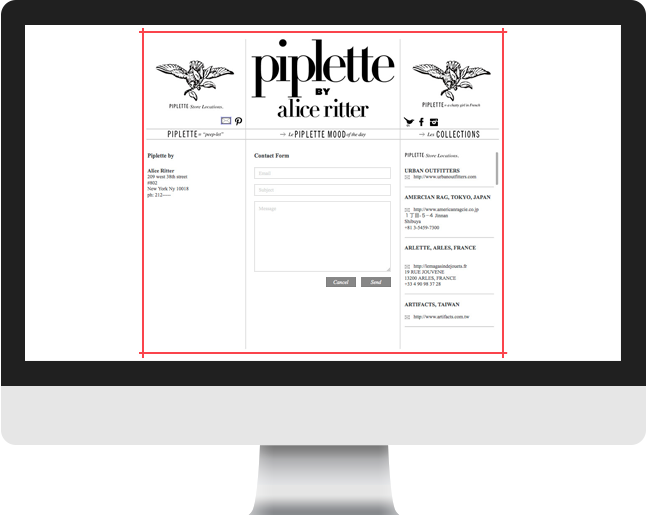 The new website is an expression of her own style with a blend of contemporary, aesthetic lines, and laid-back approach. 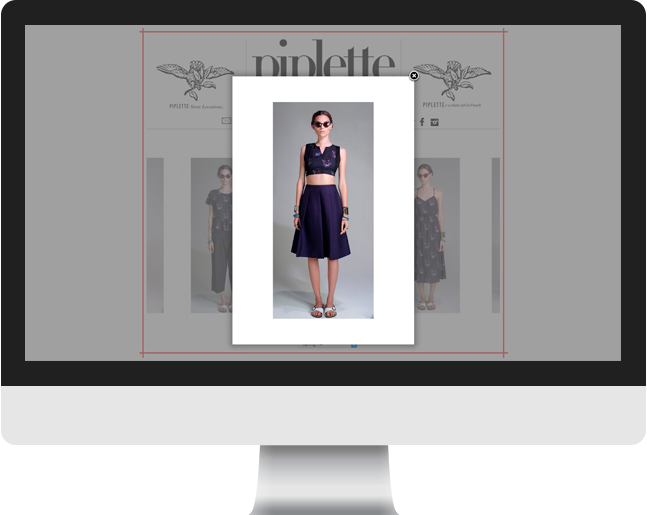 Social media was an important factor in the website because it allows users to share their favorite fashion styles through their own social media profiles. 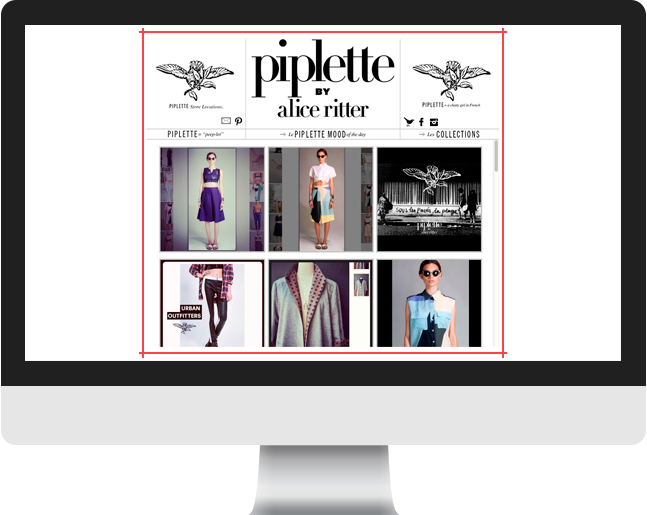 Also, the use of Tumblr and a masonry jQuery library allowed us to keep the mood of the day updated and refreshed.